Join Freddy and his friends for another 1st grade adventure! The eighth in the popular series by an elementary school teacher who's seen it all. Meet Freddy Thresher, a boy who has a nose for trouble and a last name that's made him an expert on sharks. 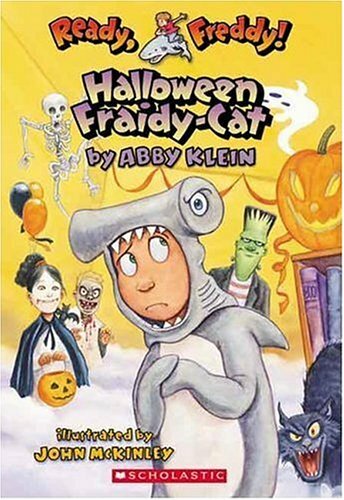 You can learn more about sharks, too, in Freddy's Shark Journal at the back of the book. And see if you can find the word "fin" hidden in every picture! With content, humor, characters, and vocabulary that are perfect for the chapter-book reader--it's time to get ready for Freddy! If you have any questions about this product by The Blue Sky Press, contact us by completing and submitting the form below. If you are looking for a specif part number, please include it with your message.